allows us to properly diagnose in order to provide treatment options. 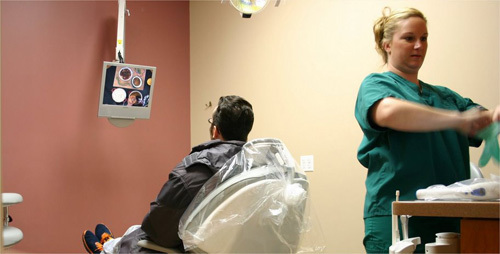 New to our office is the intraoral camera which allows the patient to see exactly what we are seeing. 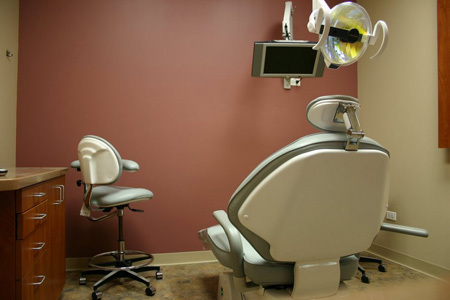 Teeth cleaning, fluoride treatment and sealants. Teeth whitening and porcelain restorations (veneers, crowns, bridges). Root canal treatments (in most cases, 1 visit). 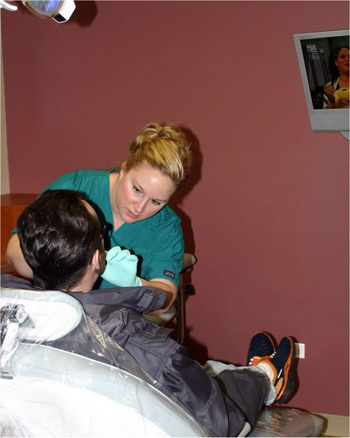 Scaling and root planing (deep cleaning) for the treatment of gum disease. 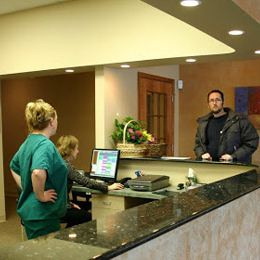 We offer localized antibiotic treatment forchronic periodontal disease as a possible alternative to gum surgery. Options for tooth repair and replacement. Composite restorations (white fillings), crowns, bridges, restoration of implants and removable appliances. Commonly known as "laughing gas". This is available to allow the anxious patient a more comfortable experience. 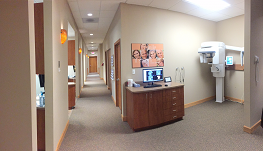 Our office now has an option for a noninvasive treatment for snoring. Patients have reported feeling "very rested and getting a good night's sleep" after using this device!